The city centre has become increasingly attractive as a hip residential area offering a world-class inner-city lifestyle unique in South Africa. Cradled between Table Mountain on one side and Table Bay on the other, Cape Town's city centre is home to a growing selection of luxury apartments , lofts and penthouses. Available to buy or rent, furnished or unfurnished, many of these are located in buildings which boast pools and gyms and have excellent 24-hour security. Many who live in the city centre choose to work there as well - either from their homes or in the vicinity, enjoying a safe, modern and stimulating urban environment and lifestyle free from the frustration of hours stuck in endless traffic jams on both in-and out-bound motorways. The centrality of the location is key for those who want to explore the wonders of the city on foot. Meander down to Long Street - famous for its nightlife, and an ever-changing, quirky collection of independent little shops - find a sidewalk café, order a latte, and settle in to watch the world go by. Here a mix of cultures, customs and fashions comes together in a vibrant hybrid of eclectic style which is unique to the city centre. The architecture is singular too, blending modern structural design and original colonial facades, most of which have been sensitively restored with reverence to the city's historic origins. Then there's Green Market Square with its colourful open-air stalls manned by a pan-African collection of traders offering treasures from every corner of the continent. Kloof Street with its plethora of restaurants, bakeries, coffee shops, boutiques and furniture shops continues to attract and enchant locals and visitors alike and remains the City Bowl's centre of "street-cred" and all that is quintessentially hip, particularly with its offerings of vintage clothing and antiques. The city centre is just a short picturesque drive away from the world famous Atlantic seaboard and the beaches of Camps Bay and Clifton. Historic Bokaap, the V & A Waterfront and the buzz of Greenpoint with its über-trendy neighbour, De Waterkant are all within easy access. And when it's showtime at the iconic new Greenpoint stadium, the superbly conceived and excellently managed fanwalk ensures that the city throbs with a pulse-racing beat as happy crowds make their way to and from world class events. 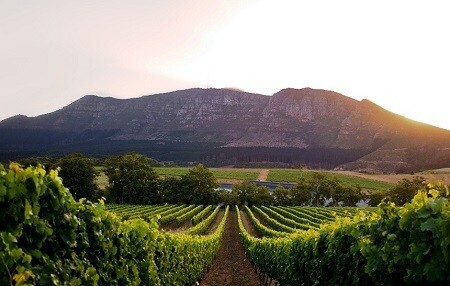 Bergvliet is close to the beaches and one of Cape Town’s greatest assets, the Constantia Wine Route. These days, off road cycling has become very popular and Tokai Forest is within easy reach. Bergvliet High School has a cricket pavilion and on most summer weekends, one would find a cricket match in progress. Shopping centres and malls include Meadowridge Park, Constantia Village and Blue Route Mall, all within easy driving distance. Many restaurants and coffee shops are dotted around the suburb and provide meeting places close to home. There are varied places of worship: a Baptist, Methodist, Anglican, Catholic and Dutch Reformed Churches, as well as a shul at Hertzlia School. Bergvliet offers its residents the best kind of suburb living – comfortable family homes, supported by good schooling, neighbourhood shops and cycle paths, and the kind of streets that children can still play in. Bergvliet is a true example of suburban lifestyle, sedate and largely unaffected by tourism and the hub of city life. At present, Bishopscourt, has approximately 350 properties, mainly, large family residences. It truly lives up to the term ‘leafy suburb’, most of the avenues, are lined with incredibly large trees, gracious oaks and lush gardens. A number of consulates and embassies have properties in the suburb, as their chosen residential address, a collection of local and international celebrities also have homes here. These are multi-million Rand homes, the views from almost all the properties are worth the price. The area also boasts a number of exclusive guest houses. There are about 5000 households in Camps Bay with properties ranging from apartments, cottages, bungalows on the beach, older type homes to modern architectural feats built against the slopes of the Twelve Apostles. The area has a shul and numerous churches as well as pre schools, a junior school and a high school. Properties in Camps Bay are popular with locals and many homes are owned by foreigners. 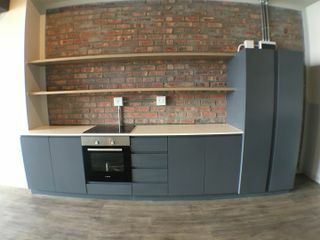 Only a 10 minute drive to the waterfront and CBD (link: http://www.greeff.co.za/properties-for-sale-city-bowl/0-0-0-1-c6greeffcity3) and 25 minutes to the airport, make properties in the area very sought after. With views over the white sandy beach and ocean, walks along the mountain, Camps Bay has it all. Camps Bay is the idyllic dormitory to the city with great bathing and tanning on the beautiful white sandy beaches. Take a walk along the beachfront or a hike on the mountain for a view that will take your breath away. Camps Bay provides the most beautiful sunsets and views to the west. Claremont is known as the “family suburb” thanks to the plethora of sprawling residential properties with family-sized bedrooms that are found in the area. When looking for Claremont property, a search on any real estate website will bring up gorgeous photographs of large, spacious houses, complemented by widespread lawns and a swimming pool or tennis court. Generally, these properties have a minimum of three bedrooms, but homes with six bedrooms or more are also common. These homes are perfect for families who are looking for the ideal family-friendly place to raise their children. Furthermore, you have the peace of mind knowing that your home is an asset that will definitely appreciate in value. 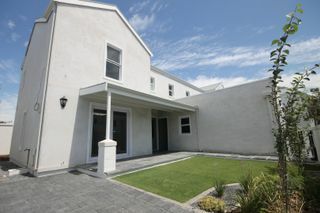 The suburb of Constantia is well known for its qualities that make it irresistible to the prospective home buyer. The area itself is immaculate, with high quality amenities surrounded by leafy vegetation and protected by the Cape’s famed mountains. Properties in Constantia are well sought after, thanks to their stunning architecture both on the exterior and interiors of the homes. When it comes to Constantia property, the majority of the properties are found on large, spread out plots, allowing this suburb to be number one of the list for those looking to invest in a family home that comes with a peaceful, comfortable lifestyle. Constantia represents great value at current prices because the plot sizes are much larger than those in the rest of the southern suburbs. The inherent value of the land has not yet been realised. As the southern suburbs are increasing exponentially in density, a property in Constantia will become even more valuable because of its position and size. Tucked away amongst Plumstead and Heathfield, the Southern Suburbs railway line, and The Vines, lies the little suburb of Diep River. The suburb is named after the river that runs through it, and eventually finds its way to the Rietvlei Reserve. Much of the thatching grass used in the 17th Century by the Dutch East India Company came from this area. The Southern Railway Line was extended from Wynberg to Muizenberg in 1882 and formed Diep River as a stop between. Diep River was popular with travellers who broke their journey at Rathfelders, a coaching Inn which stood on the property where the Eaton Convalescent Home now stands. With the railway line, came post offices and Diep River’s was one of the earliest post offices in the Cape. These post offices serviced the farms in the Constantia and Tokai areas. Gardens, an inner city suburb south of Cape Town’s city bowl, is a compact residential area for those who enjoy a little bit of everything. Surrounded by tourist attractions, amenities and facilities, the suburb is densely populated, many of which are young professionals. A large part of its residential area comprises of modern and classically-styled complexes, flats and houses fit for the city-lover who needs a break from the hustle and bustle every so often. Much of the architecture in Gardens has historical influence from the 1600s and in addition, the history of the Company’s Garden has influenced the suburb that we know as Gardens today. It was in 1652 when the Dutch East India Company created this iconic landmark. These attractions add to the beautiful scenery that residents in Gardens get to enjoy each day. Other than its proximity to the City Bowl and a spectacular view of the mountain range, Gardens is nearby to primary, secondary and tertiary education institutions such as Jan Van Riebeeck Primary School, Trafalgar Secondary School and the Cape Peninsula University of Technology. Furthermore, Gardens is also home to sporting facilities such as the Cape Town High School Sports Grounds. 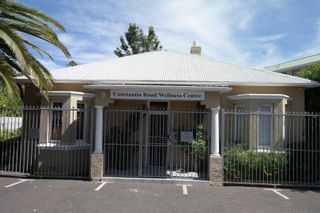 The suburb’s residents also get to enjoy the convenience of being closely located to hospitals, vets and clinics, including Booth Memorial Hospital and Mediclinic Cape Town. Numerous restaurants and retail complexes are also easily accessible, such as Narona, Jerry’s Burger Bar, Roeland Square, Gardens Shopping Centre and Lifestyle on Kloof, to name but a few. Although it is well established, one of Kenilworth’s charms is its high-street culture and leafy, village-like charm, making it a popular choice for young couples and families. It boasts beautiful upmarket homes, many of which Sir Herbert Baker designed in the Arts and Crafts style of the early 1900s, while other homes with “Broekie Lace” detailing and wrap-around balconies, are typically Victorian. Gardens are large and perfect for children to spend time outdoors playing with their pets. Apartment blocks with high-ceilinged, spacious rooms, both modern and pre-war, are situated in and close by Main Road. These suit the needs of young adults who enjoy being within walking distance to shops and restaurants, perfectly. Small townhouse complexes are also an option in upper Kenilworth, as well as complexes neatly tucked away between Main Road and the railway line. Mowbray is bounded on the west by the M3 freeway, beyond which lies Devil’s Peak. The north of Mowbray is connected to the N2 freeway, beyond which lies the suburb of Observatory. Towards the east, the built-up area of Mowbray ends at the M5 freeway, which leads to the Black River and the suburb of Pinelands. However, the official boundaries of Mowbray also include the Rondebosch and Mowbray golf courses that are located beyond the M5, towards Sybrand Park and Pinelands respectively. Newlands hugs the mountain from which the Liesbeek River runs. There is walkway along the bank of the river which passes the Vineyard Hotel, originally Lady Anne Barnard's cottage, down to Josephine Mill, built in 1840, which used a water wheel, to grind grain for the brewery, one of the oldest in South Africa. There is still a pipeline supplying the brewery with fresh mountain water, which runs under the Cardiff Castle Building in the centre of Newlands village. Newlands Stadium, home of the Stormers, as well as Newlands Cricket Ground, surely put the suburb on the world map. The railway line from Salt River was extended to Newlands in December 1864 which is still a very popular mode of transport today. Located among the southern suburbs just south of Wynberg and east of some Constantia suburbs, Plumstead has become a sought-after area for property investors, as it offers affordable homes. In fact, demand is currently so great that stock in the area is in short supply and homes coming onto the market tend to be snapped up rather quickly. Most of the existing homes in Plumstead were built in the 1940s and 50s and many still retain their original low walls and fences. Here neighbours stop to chat while they walk their dogs or take children to a park. The suburb is home to many older residents who have lived there for decades, but an increasing amount of younger buyers have bought into the area and renovations of older homes is on the increase. Rondebosch lies between the M3 in the west and the M5 in the east, Mowbray and Rosebank in the north and Newlands and Claremont in the south. Rondebosch has always been known as a liberal constituency and is a very popular suburb for student accommodation, given its proximity to the prestigious University of Cape Town. It is mainly a residential area, with commercial properties located along the Main Road, predominantly in the area of the fountain, which is a famous landmark. There is another small hub of shops along Campground Road, as well as Belvedere Road. The Baxter Theatre complex is situated on Main Road below the University of Cape Town and forms part of the Arts and Drama faculty of the university. Tokai the neighbor to the popular family suburb of Bergvliet, is considered to be the ‘next step up' the property ladder by home owners in Cape Town. Homes in the area are larger, set in established gardens and tree-lined streets. The exclusive gated, golfing estate Steenberg, is located beneath the slopes of the mountain amidst the vineyards of Steenberg farm, one of the oldest in the valley. The estate comprises a championship 18 hole golf course, hotel and spa. The sophisticated Catharina's restaurant and Bistro 1682 are located on the estate. Opportunity for first-time home buyers – a home in a secure estate from R1.795 million.